I am Candida Martinelli, so this not a review. 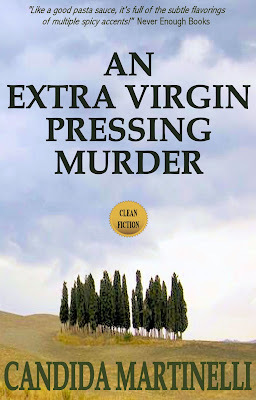 This is an introduction to my country-house, cozy-murder-mystery, An Extra Virgin Pressing Murder. It is set in beautiful Tuscany, and filled with lovely Tuscan sights, Italian love interests, mysteries, laughs and tugs on the heartstrings. In the style of a Ngaio Marsh or Dorothy L. Sayers mystery novel, this is a traditional country-house murder mystery. I used a light touch, and do not include gore, and there is very little violence. Instead, there are lots of suspect characters and a bit of romance. 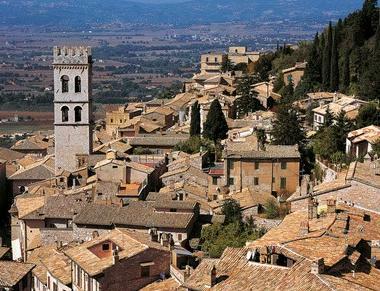 The protagonist, Julie, gladly leaves her retirement home to attend a protégée’s wedding in Tuscany. But when someone is murdered at her welcome party, and the chief suspect is the Italian fiancé, Julie finagles her way into working with the local Marshal to discover the truth. I give you a chance to see if you will enjoy the book, before buying it. You can read for free Part I (of 8 Parts), which is 6 Chapters (of 40 Chapters), at the book's website. There is a large-type edition, and a Kindle version available along with the paperback version, at Amazon.com. And various other e-book formats are available from the e-book shop Smashwords. Smashwords sells e-books in various formats, including mobi (Kindle), ePub, and pdf. There is no surcharge at Smashwords for foreign customers, unlike Amazon.com which charges a surcharge on Kindles sold outside the U.S.
And the paperback books, large-type and normal, are available at a $2.00 discount via Amazon.com's CreateSpace company. The book is set mainly in Tuscany. 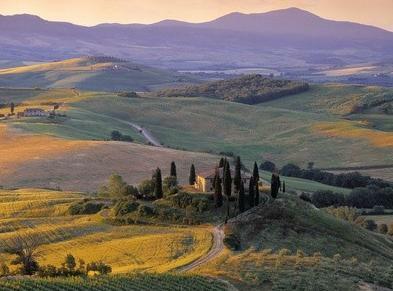 Here is a lovely 2 minute video postcard of Tuscany. You are welcome to visit the book's website and my Italian Culture website.